SHANKHNAD.ORG: Feces Lake from Pig manufacturer lies open in USA. 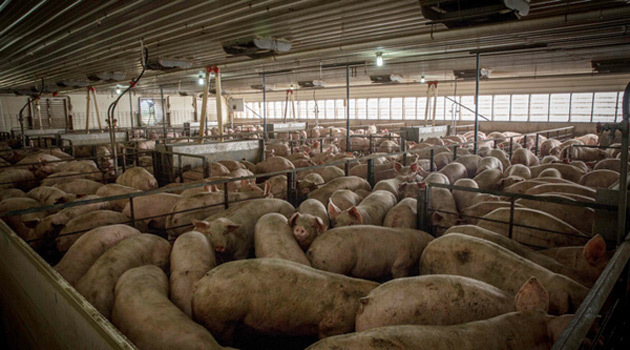 Feces Lake from Pig manufacturer lies open in USA. These are large ‘lakes’ of feces and other animal waste ‘sewage systems’ lies open in one of LARGE FACTORY IN NORTH CAROLINA- Murphy-Brown, a subdivision of Smithfield Farms— the largest pork producer in the United States.Thousands of similar factory farms exist in just North Carolina alone, give you idea of how animals waste is handled . Animals produce 100 times more waste than human beings.